One of a disturbing trip that I had was in 2012 when I was so eager to visit Weh Island in Banda Aceh, Indonesia. 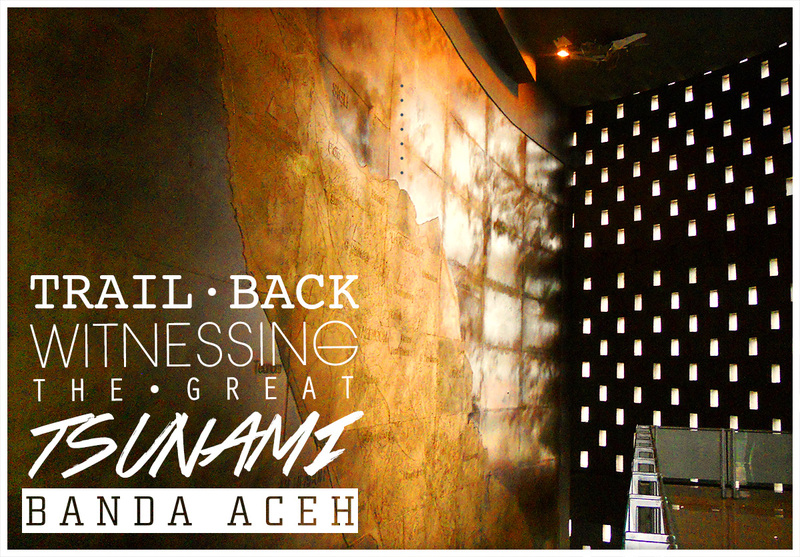 For many people who don’t know where Banda Aceh is: it is the far corner West of Indonesia, in Sumatera Island. Sad thing is, this region was popular by the tragedy of Tsunami and earthquakes couple of times. 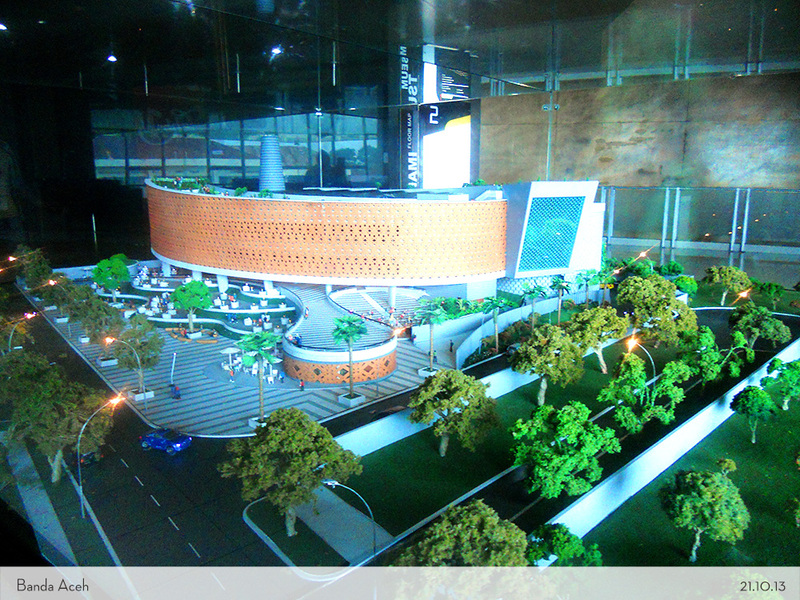 For its location is very vulnerable to natural disasters. 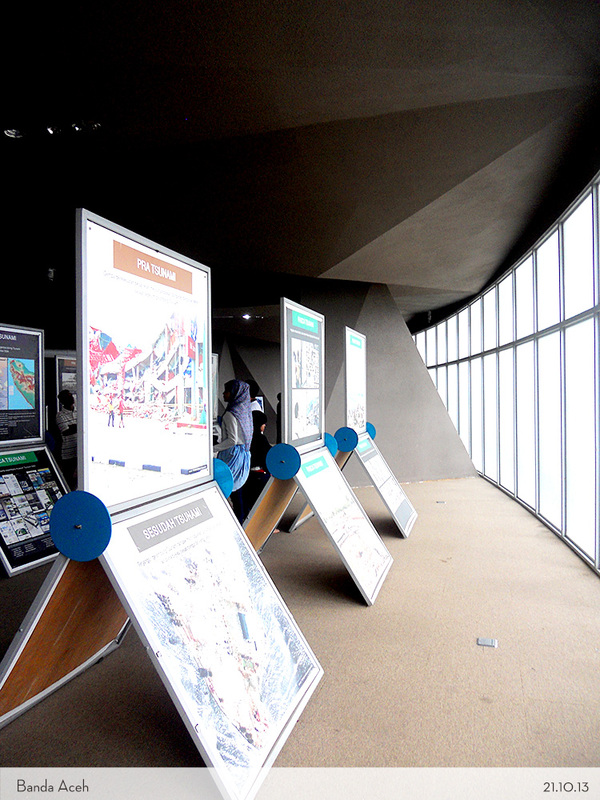 I was already set my eyes into the Banda Aceh Tsunami Museum and that’s why I think it is worth to visit! Little did I know about Aceh history of that time, I was focusing more on snorkelling and visiting the beaches instead. 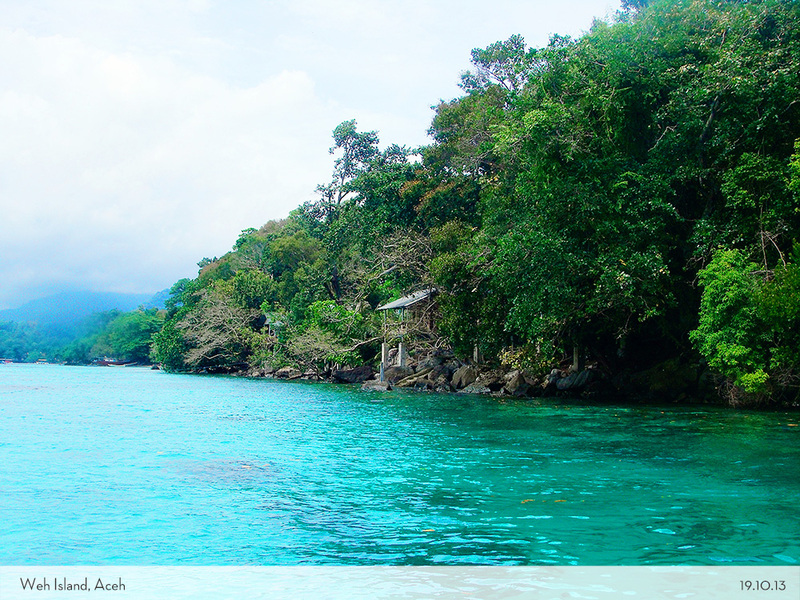 After I and my friends got back from Weh Island, we decided to spend two days in Aceh before heading back. We found one little motel where the owner itself offered us a tour and car rental for one day. 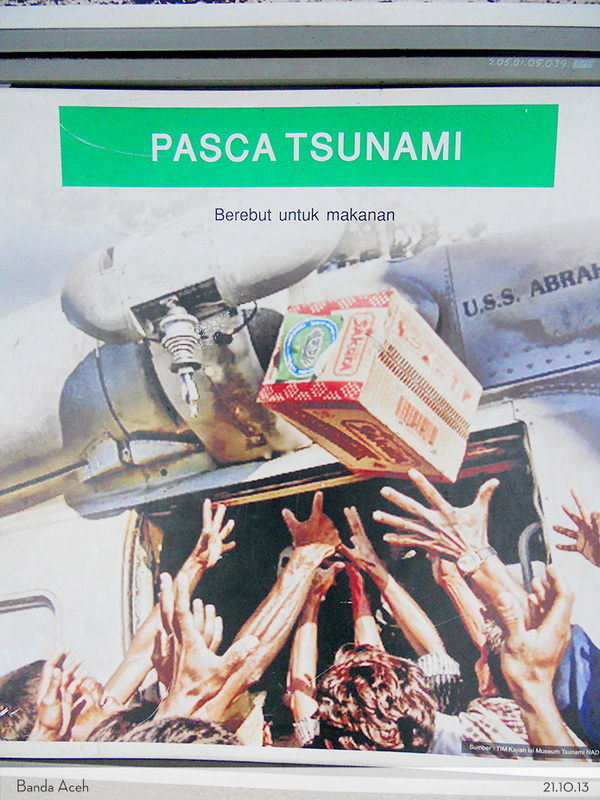 He told us the story about how the Tsunami happened at that time. How it has changed his life and his family after that, how they are still haunted by the sound of the sirens of danger whenever they asleep. I was not a museum person before. 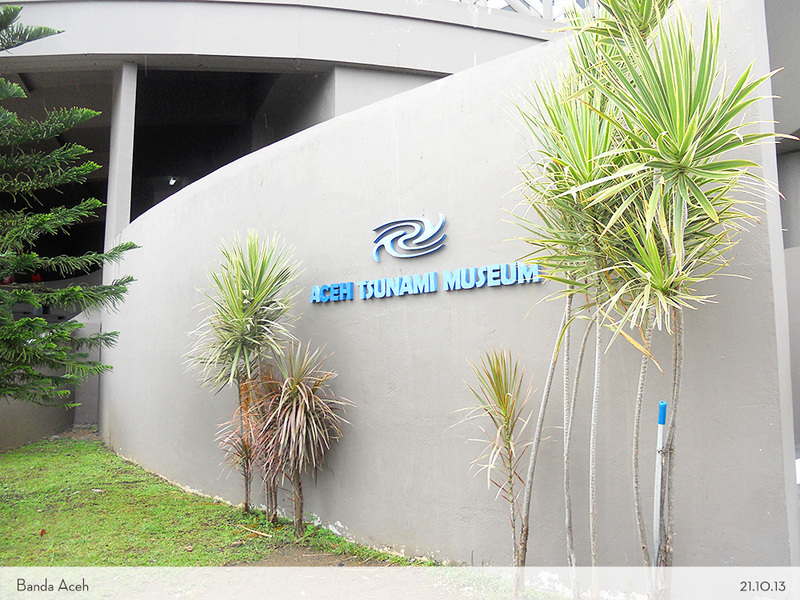 But we were already bombarded to visit the Aceh Tsunami Museum by the local people. Of course, we went! 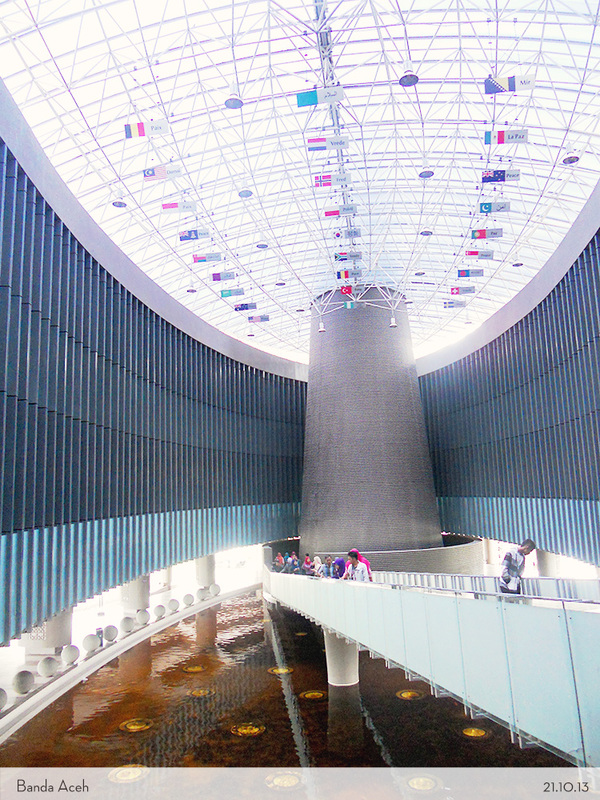 By far this is the best museum I have ever been in Indonesia. They put us into this one big tunnel at the beginning, showing us how it feels to be surrounded by the big tall waves of a tsunami. 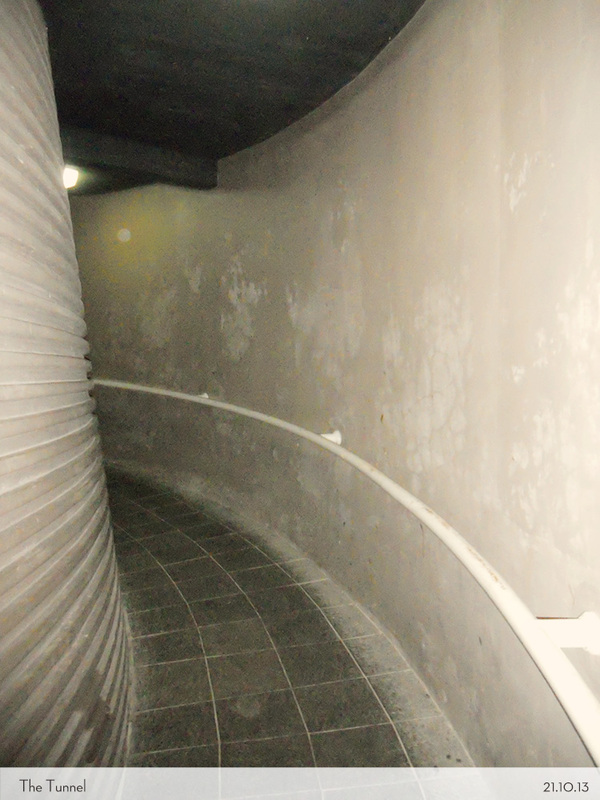 They even put the real height of the tunnel similar with the tsunami and water droppings from above. 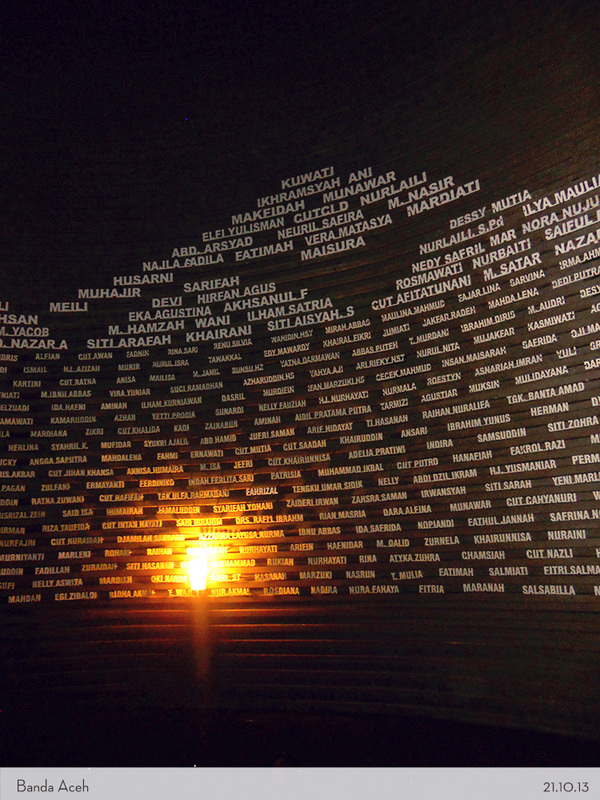 It also has one beautiful dark room where they put the names of the tsunami’s victims. 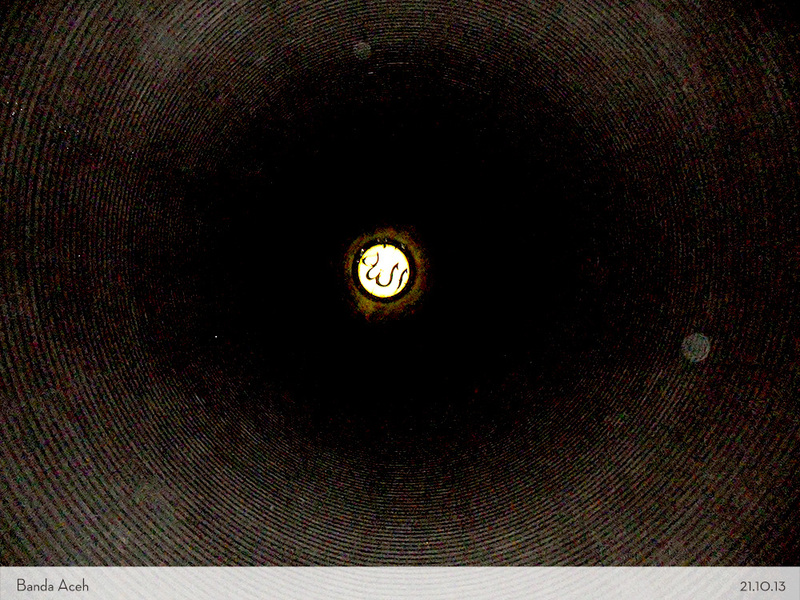 The ceiling even has one big letter of “Allah” in Arabic that amazed me. So freaking impressed by the architecture! Above all, I felt the sadness hit me when I watched the movie and saw the pictures. This is the first time I witnessed something major that broke apart human lives in an instant. 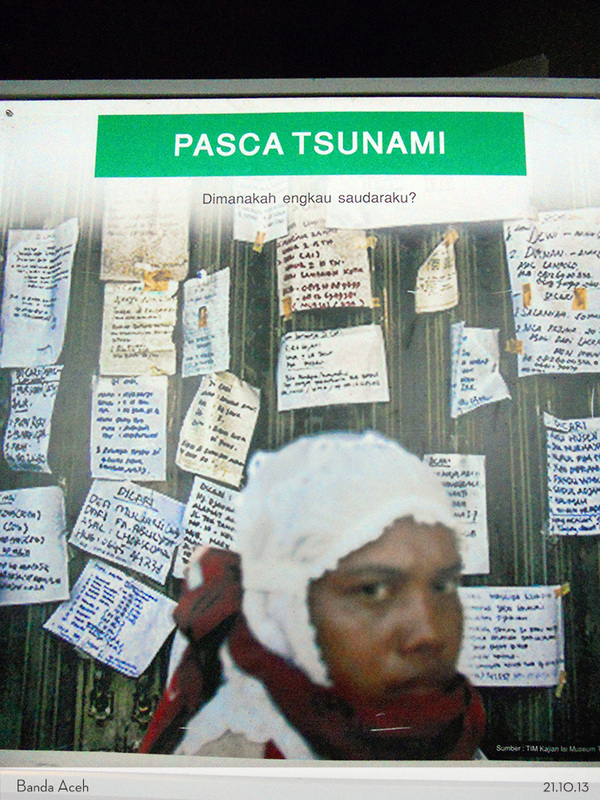 The events after the tsunami; how people tried to find their beloved families, how they were desperate for foods and clothes, how they struggled lack of medical help and medicines, and how to deal with their emotional trauma. 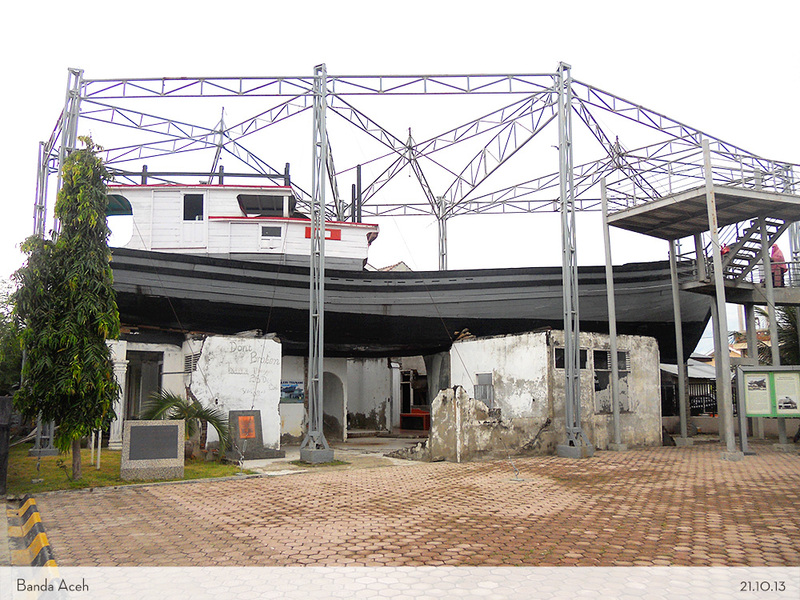 We also visited the fisherman’s boat that has saved many lives during at that time. 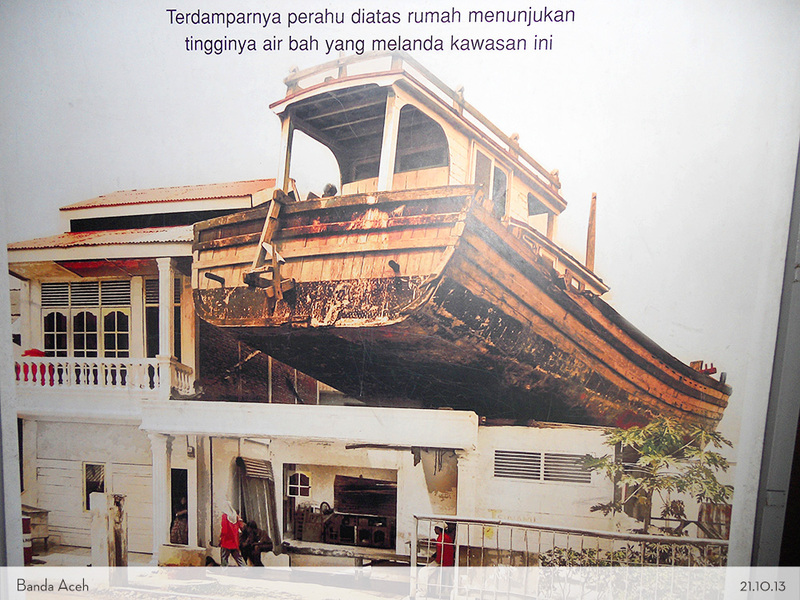 This boat was stranded on top of one house and was a safe haven for the civilians during the chaos. It reminds them of the story of Noah. 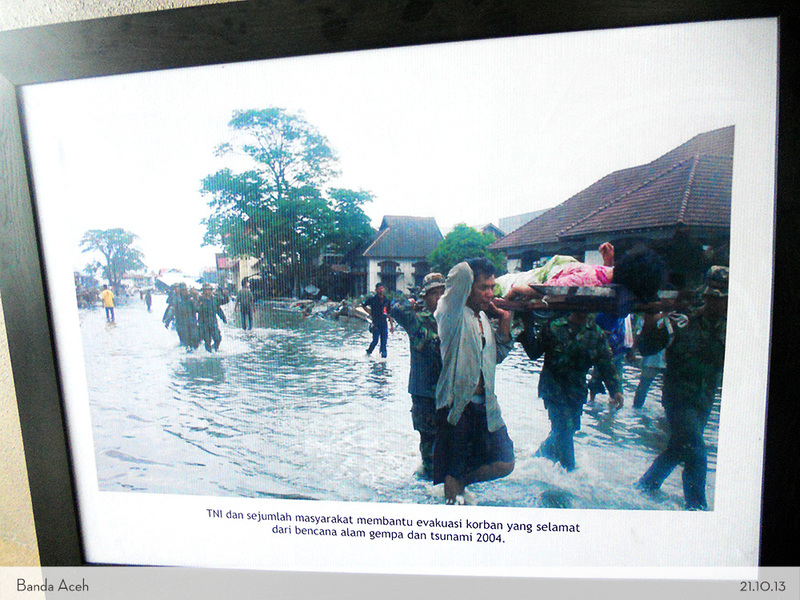 Now the government turned the house into a museum full of pictures, they commemorated it as a reminder of that faithful event. 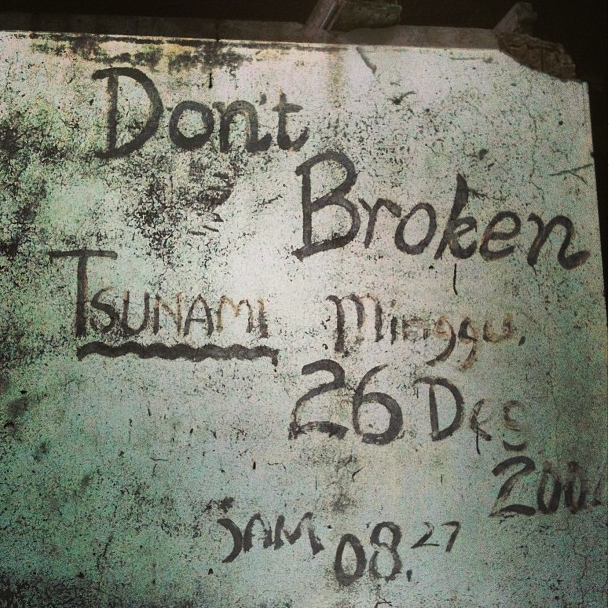 We were mostly welcome by a guide which turns out to be one of the surviving victims of the tsunami. She told us the story how it happened and how she has lost her mother during the holocaust. 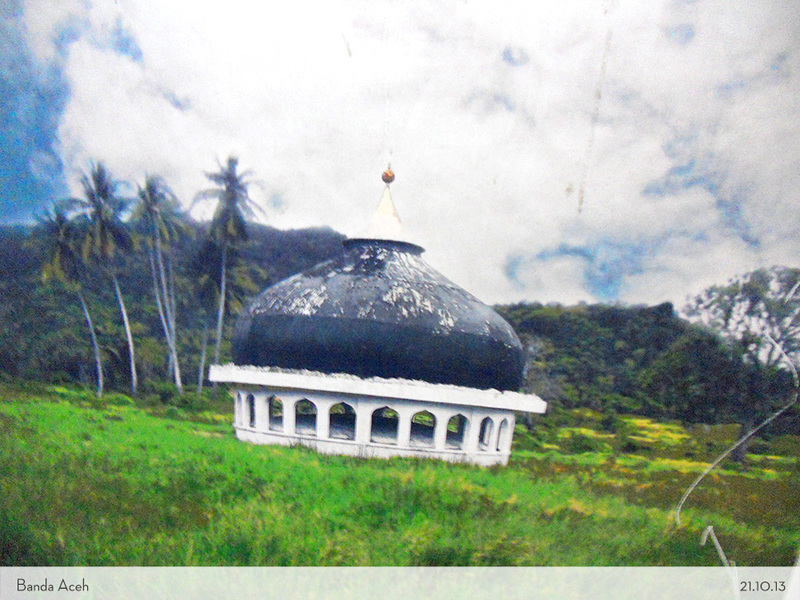 Now, she has volunteered on the site, tell the story to the visitors and help the Aceh’s tourism to grow again. She was studying when we reached her at her counter and she smiled so brightly for a girl who has been through a lot. Gosh.. Can u imagine? One bright day turned into a chaos and it changed your lives forever. God have His own ways to warn us, but these pictures show me how great He is, turning your life upside down. This little trip has changed my perspective of life. Truthfully, I turned back to my faith again ever since then. I believe that God has the bigger plan than what we have. I believe that we should never complain about how unsatisfying our lives are, the little things that we missed, and just feel blessed of what we have now. I believe in praying when everything is out of our control, and there’s nothing you can do besides take a leap of faith. Be blessed that you are able to breathe in the morning, yawn, look at the blue sky and drink your coffee. You are healthier than ever. Be blessed that your family are there to hug you, to kiss you, to support you, to bug you and to be proud of you. Love them for being there every day. Be blessed for every step that you took, the smell of the trees, the breezing of the air, the skyscrapers surround you, and the people that you have met. Be blessed that you are able to laugh with friends, to do what you like, to travel, to be with the person that you love. Be blessed that you have survived the day and now you are curling on the sheets with your mushy pillow and blanket. Be blessed that every plan that you made yesterday was fulfilled today. Be blessed that you have a life. Not many people have that simple luxury as you do. Subhanaallah, Maha Suci Allah… Tuhan Semesta Alam. Nice writting. its so beautifull at new banda aceh. Indeed!! 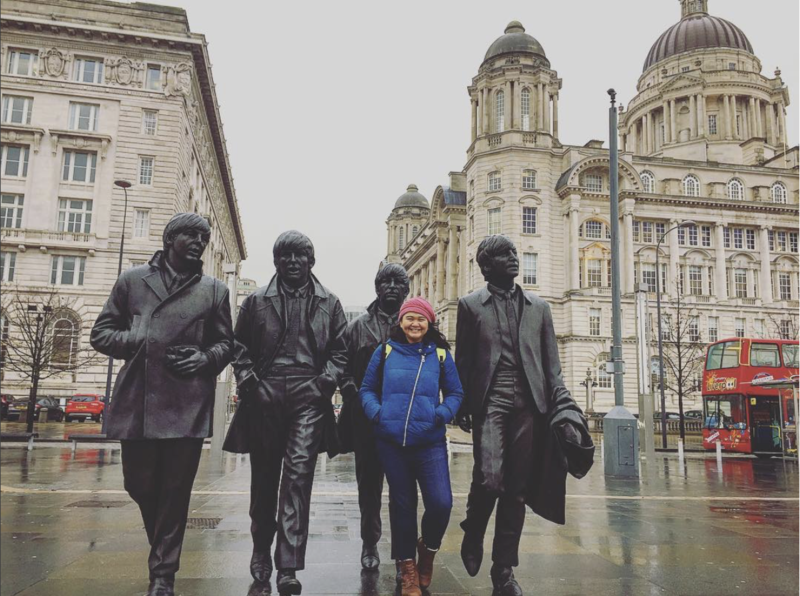 Hope you have a chance to visit too someday!